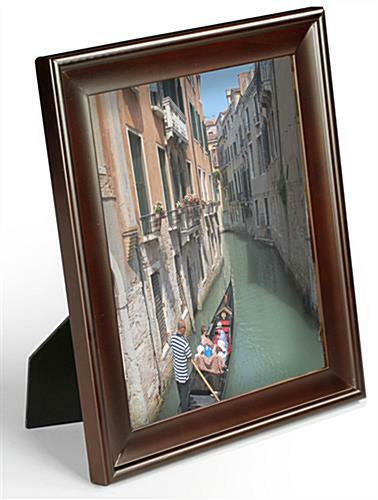 This Picture Frame is Made of Durable Wood and Features a Modern Walnut Finish! 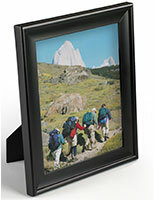 This Picture Frame can Stand on any Surface or be Mounted to a Wall! 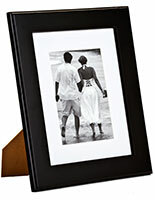 Shop Online for More Wooden Photo Frames, Thousands In Stock! 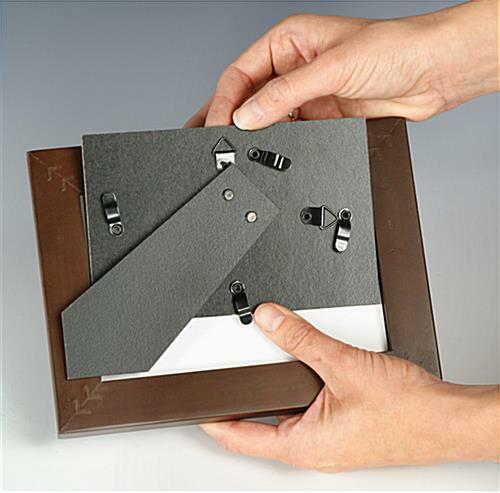 Picture Frame with Walnut Finish and Glass Lens, 8"x 10"
Changing out photos in this picture frame is easy; merely turn the tabs on the backing, lift out its back support, and swap out your photos. The two-method easel on this picture frame can be tailored around your personal preferences, either setting the frame on your desk in portrait or landscape orientation. Buy a picture frame now and start enjoying your special memories in this classic frame for a lifetime. 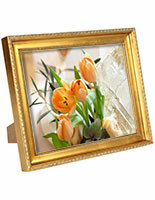 This picture frame will complement your photos, with its clean edges and uncomplicated lines. 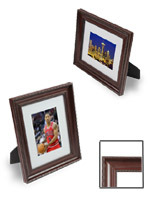 The picture holder, picture frame incorporates a solid wood, walnut finish with a sleek profile. 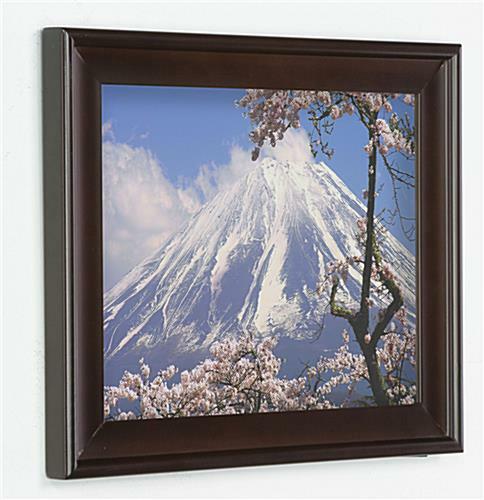 We offer this picture frame in various sizes, besides the size seen here. Be sure to check out our other frames.